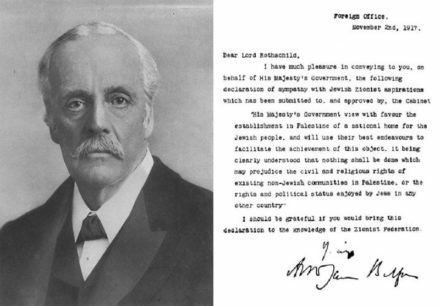 Contrary to popular belief, the Labour Party’s support for Zionism did not originate with the Balfour declaration but with the party’s own War Aims memorandum which was published in August 1917, three months before Balfour’s letter to Lord Rothschild. It set out a socialist and labour vision for the future once peace had been achieved and included a section on the Jews and Palestine. Their interest in Jewish civil and political rights started earlier, not with the Labour Party, but with the trade union movement. How Labour was persuaded to embrace Zionism is one of the forgotten stories of the first world war. The memorandum may have been overshadowed by the Balfour Declaration but it has a unique place in history because the Labour Party was the first political party in Britain to declare their backing for the right of the Jewish people to return and live in Palestine. It was achieved not by the efforts of Chaim Weizmann and his fellow Zionists but by the hard work and determination of the Jewish working classes, the Jewish socialist group Poale Zion, and one Jewish trade union leader in particular, Moses Sclare. Weitzman credited Poale Zion for the inclusion of Jewish rights in the memorandum. 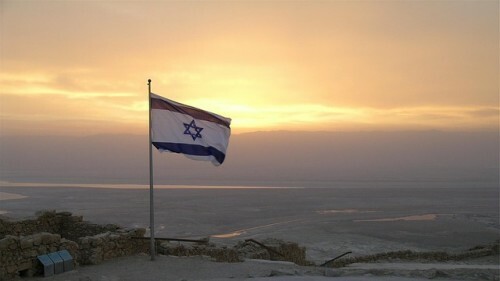 Poale Zion was a Marxist–Zionist movement which was founded in Eastern Europe at the turn of the 20th century. The ideology of Poale Zion was a blend of socialism and Zionism aimed at persuading Jewish workers to support Palestine as a Jewish homeland as well to campaigning for Jewish equality in all countries. Poale Zion was active in Britain from 1905 onwards and throughout the first world war campaigned for the granting of political and civil rights for the Jewish people in Russia and Romania where these common rights were currently being denied to them. Their efforts were rewarded at both the 1915 and 1916 TUC congresses which unanimously adopted resolutions about the civil and political rights of Jews moved by Moses Sclare, the general secretary of the Leeds Amalgamated Jewish Tailors’, Machiners’ and Pressers’ Trade Union. What had made his 1915 resolution unique was that this was the first time anyone, albeit a Jew, had ever spoken at a TUC Congress about the civil and political rights of the Jewish people. In August 1917, Labour published its War Aims Memorandum, which had been drafted by Arthur Henderson, the leader of the Labour Party, and Sidney Webb. “The British Labour Movement”, they declared, “expresses the opinion that Palestine should be set free from the harsh and op­pressive government of the Turk, in order that the country may form a free state, under international guarantee, to which such of the Jewish People as desired to do so may return, and may work out their salvation”. Three months later, on 28 December 1917, a special national conference of over 700 delegates from the trade unions and the Labour Party voted to accept the memorandum. When the Labour and socialist parties of the allied powers discussed their attitude to the war in February 1918 they adopted Labour’s memorandum as their main policy document. There is little evidence available as to why the authors included the section on the Jews and Palestine. Henderson, as secretary of the Labour Party, was known to be sympathetic towards Zionist demands for a Jewish homeland in Palestine as well as being aware of the problems of Jewish Labour and the work of the Poale Zion. It is not known if his co-author Webb held similar views. All we can assume was that since he fully supported the aims of the memorandum he was not opposed to the paragraph’s inclusion. The memorandum is important because not only did it ignite Labour’s enthusiasm for Zionism but also because it established Poale Zion as the Jewish voice on Palestine within Britain’s’ Labour Party, with which it affiliated in 1920. Although Poale Zion built a close relationship with the Labour Party, and counted several Jewish Labour MPs within its membership, it ultimately failed when it mattered when, in 1945, along with others they were unable to change the decision of the Attlee government to ignore prior Labour conference commitments on Palestine. However their legacy was that they laid the groundwork for the Labour Party’s support for Israel from the 1920s onwards. A century after the War Aims memorandum was issued Poale Zion’s successor organisation, the Jewish Labour Movement (JLM), is once again speaking out on Jewish concerns within the Labour Party. The centenary of the Balfour Declaration is on Thursday. The full version of this piece appears in the new e-book Balfour 100: The Fathom Essays, available to for free here. Dr Ronnie Fraser is an independent scholar and director of the Academic Friends of Israel. He was awarded his doctorate in 2014 by Royal Holloway College, London for his research into the British trade union movement and its attitude to Israel between 1945 and 1982.